Our firm’s founder, Michael Hutchings, is an accomplished manager, builder and sales professional with an extensive background in real estate. He has a personal legacy of custom building that dates back three generations. Having concentrated on high-end residential product since the late 1980’s, his shift into custom design/build projects commenced at the onset of the Las Vegas boom cycle beginning in the late 1990’s – a time in the market when there were less than 25 homes a year closing over $1 Million. After previous stints In Florida, Atlanta & California with large geographically diverse homebuilders, Hutchings saw a huge opportunity in the very early stages and quickly became an established leader in the luxury & design/build sector in Las Vegas. After leaving the United States Marine Corps in 1988 at the age of 21, Hutchings began a career in construction working for his family’s business. Since that time, he has been involved in the sales and marketing and development of residential real estate, working for industry leaders Pulte Home Corporation (NYSE symbol PHM) and Centex Home (who have since merged). In 2003, Mr. Hutchings founded Meridias Realty Group (now being merged with MINT Property Group and rebranded as Custom Home Life as of January 2015) which is a premier custom home building, marketing, and “boutique-style” development company. Meridias has completed in excess of 25 custom homes projects in Lake Las Vegas Resort, Seven Hills, MacDonald Highlands and The Ridges in Summerlin. Through the years, Hutchings has received numerous individual and staff recognition for sales volume, as well as the Pinnacle Award for Design, Aurora for model-merchandising, National Sales & Marketing Council Gold & Platinum awards and other industry honors. 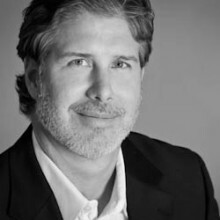 Additionally, Hutchings has served on staff with the Executive Sales & Marketing Team at both CityCenter Project and Lake Las Vegas Resort and later as the General Sales Manager for the St. Regis Residences.